This is the story of Frenchman on the World War II Russian Front. The struggle between duty and conscience leads, for some, to fighting impossible odds. 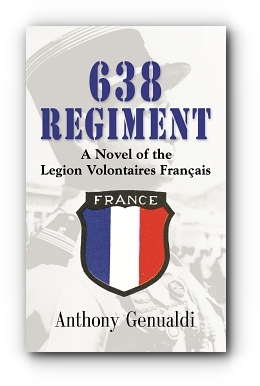 638 Regiment follows Sergeant Jacques LeBris and his men as they fight in bitter partisan warfare on the Russian Front in WWII. The savagery of the enemy is equaled only by the drive to survive by LeBris and his men. He also deals with continuing to fight for a system he no longer believes in, leading to a bitter choice. This struggle, above all, lease to a fateful climax. Join up, and move forward, with 638 Regiment. A Jewish-American officer tries to escape from Nazi Germany in 1943. Anthony Genualdi uses his fascination with World War II and the troops who served in Russia to create this story. 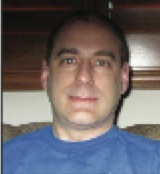 He lives and works in Scottsdale, Arizona for a healthcare financing company.